AARP - Dedicated to enriching the experience of an aging population. Concord Coalition - A nonpartisan, grassroots organization dedicated to eliminating federal budget deficits while ensuring Social Security, Medicare, and Medicaid are secure for all generations. Health and Retirement Study - The University of Michigan Health and Retirement Study (HRS) surveys more than 22,000 Americans over the age of 50 every two years. Supported by the National Institute on Aging (U01 AGO 9740), the study paints an emerging portrait of an aging America's physical and mental health, insurance coverage, financial status, family support systems, labor market status, and retirement planning. International Longevity Center - A non-profit, nonpartisan research and education organization whose mission is help societies address longevity and population aging in positive and productive ways and highlight older people's productivity and contributions to their families and society as a whole. Morbidity and Mortality Weekly Report, Centers for Disease Control - Prepared by the Centers for Disease Control and Prevention (CDC). National Bureau of Economic Research: Center for Aging Research - One of nine Centers for research on the demography and economics of aging funded by the National Institute on Aging. The goal of the NBER Center is to develop and coordinate research on the factors affecting the health and economic well-being of individuals as they age, as well as the broader implications of population aging. National Long Term Care Survey - A longitudinal survey designed to study changes in the health and functional status of older Americans (aged 65+). It also tracks health expenditures, Medicare service use, and the availability of personal, family, and community resources for caregiving. The survey began in 1982. National Right to Life Committee - Works to prevent the legalization of assisted suicide. Population Reference Bureau - Provides objective information on U.S. and international population trends and their implications. U.S. Bureau of the Census, International Programs -Conducts demographic and socioeconomic studies and strengthens statistical development around the world through technical assistance, training, and software products. Its work is commissioned and funded by federal agencies, international organizations, non-governmental organizations, private businesses, and other governments. Agency for International Development (USAID) - An independent federal government agency that receives overall foreign policy guidance from the Secretary of State. The agency works in six principal areas crucial to achieving both sustainable development and advancing U.S. foreign policy objectives: Economic growth and agricultural development; Population, health and nutrition; Environment; Democracy and governance; Education and training, and; Humanitarian assistance. Center for International Health Information - Health data reference bureau for the Population, Health and Nutrition Center (PHNC) of USAID's Global Bureau. Central Intelligence Agency: World Fact Book - Provides information on the history, people, government, economy, geography, communications, transportation, military, and transnational issues for 267 world entities. Forum on Child and Family Statistics - Offers easy access to federal and state statistics and reports on children and their families, including: population and family characteristics, economic security, health, behavior and social environment, and education. Healthlink Worldwide - Healthlink Worldwide works to improve the health of poor and vulnerable communities by strengthening the provision, use and impact of information. Johns Hopkins University Center for Communication Programs - A pioneer in the field of strategic, research-based communication for behavior change and health promotion that has helped transform the theory and practice of public health. The site provides online viewing on the Center's and the Population Information Program's publications. Macro International Inc., Demographic and Health Surveys (DHS+) - Assists developing countries worldwide in the collection and use of data to monitor and evaluate population, health, and nutrition programs; provide information on family planning, maternal and child health, child survival, HIV/AIDS/STIs (sexually transmitted infections), and reproductive health. National Academy of Sciences - Consists of four organizations: the National Academy of Sciences, the National Academy of Engineering, the Institute of Medicine, and the National Research Council. National Center for Health Statistics (NCHS), Centers for Disease Control and Prevention - Federal Government's principal vital and health statistics agency. National Council for Science and the Environment (NCSE) - Works to improve the scientific basis for environmental decision making. U.S. Census Bureau - International Data Base - Contains statistical tables of demographic and socio-economic data for 227 countries and areas of the world. United Nations Population Fund - Helps developing countries find solutions to their population problems; about a quarter of all population assistance from donor nations to developing countries is channeled through UNFPA. WHO Statistical Information System - Health and health-related statistical information from the WHO Global Programme on Evidence for Health Policy. World Health Organization (WHO) - Directing and coordinating authority on international health work. Agency for International Development (USAID) - An "independent" federal government agency that receives overall foreign policy guidance from the Secretary of State. Works in six principal areas: economic growth and agricultural development; population, health and nutrition; environment; democracy and governance; education and training, and; humanitarian assistance. American Land Rights Association - Grassroots, non-profit organization advocating private property rights and multiple use of federal lands including recreational and commercial access. DC National Prevention Information Network - Provides links and up-to-date information on HIV/AIDS, STDs and TB. Center for Population Research (at NICHD) - Carries out the primary Federal effort in population studies through support of research and research training in the biomedical, behavioral, and social sciences. Support is provided through grants, contracts, cooperative agreements, and interagency agreements. Environmental Protection Agency - Government agency dedicated to protecting human health and safeguarding the natural environment. Forum on Child and Family Statistics - This site offers easy access to federal and state statistics and reports on children and their families, including: population and family characteristics, economic security, health, behavior and social environment, and education. Healthlink Worldwide - Works to improve the health of poor and vulnerable communities by strengthening the provision, use and impact of information. HIV InSite - Contains very up-to-date information on medical information, prevention and education, social issues and policy, and statistics and epidemiology, both domestic and international; also has an extensive list of links. HIV/AIDS Surveillance Database - Developed and maintained by the Health Studies Branch, International Programs Center, U.S. Bureau of the Census. Johns Hopkins University Center for Communication Programs - A pioneer in the field of strategic, research-based communication for behavior change and health promotion that has helped transform the theory and practice of public health. List of Countries by Population - This is a list of countries ordered according to population. The list includes and ranks sovereign states and self-governing dependent territories. Figures are based on the most recent estimate or projection by the national census authority where available and generally rounded off. National Center for Health Statistics, Centers for Disease Control and Prevention - Federal Government's principal vital and health statistics agency. Makes available national estimates of factors affecting birth and pregnancy rates in the U.S.
National Center for Infectious Diseases - Mission is to prevent illness, disability, and death caused by infectious diseases in the United States and around the world. National Resources Defense Council - Purpose is to safeguard the Earth: its people, its plants and animals and the natural systems on which all life depends. Pan American Health Organization (PAHO) - An international public health agency with more than 90 years of experience in working to improve health and living standards of the countries of the Americas. Serves as the specialized organization for health of the Inter-American System and Regional Office for the Americas of the World Health Organization. POPLINE - The world's largest bibliographic database on population, family planning, and related health issues. Population Action International - Advocates the expansion of voluntary family planning, other reproductive health services, and educational and economic opportunities for girls and women. Population Clock - Populations shown for countries on a world map. The populations displayed on the clock are not intended to imply that the population of the world is known to the last person. Rather, the clock is the U.S. Census Bureau's estimate of the world population size and an indication of how fast it is growing. According to the current estimates, the world population reached 7 billion in 2012 and the new projections indicate that the 8 billion marker will be reached in 2025. Population Communications International - Strives to stabilize population growth rates and preserve the earth's resources; produces serial dramas motivate individuals to adopt new attitudes and behaviors that foster reproductive and sexual health, gender equality, and environmental protection. Population Connection - A national grassroots population organization that educates young people and advocates progressive action to stabilize world population at a level that can be sustained by Earth's resources. Population Council - International, nonprofit institution that conducts research on three fronts: biomedical, social science, and public health. Population Institute - Non-profit, education organization dedicated to achieving a more equitable balance between the world's population, environment and resources. Religious Consultation on Population, Reproductive Health and Ethics - International, multi-faith network of progressive feminist religious scholars and leaders who direct the moral energies of their faith traditions to the inter-related issues of population, consumption/ecology, reproductive health and the empowerment of women. U.S. Bureau of the Census, International Programs - Conducts demographic and socioeconomic studies and strengthens statistical development around the world through technical assistance, training, and software products. Its work is commissioned and funded by federal agencies, international organizations, non-governmental organizations, private businesses, and other governments. U.S. Census Bureau International Data Base - Contains statistical tables of demographic and socio-economic data for 227 countries and areas of the world. UN Women - Works to ensure the participation of women in all levels of development planning and practice, and acts as a catalyst within the UN system, supporting efforts that link the needs and concerns of women to all critical issues on the national, regional and global agendas. UNAIDS - Supports an expanded response to preventing the transmission of HIV, providing care and support, reducing the vulnerability of individuals and communities to HIV/AIDS, and alleviating the impact of the epidemic. United Nations Population Fund Helps developing countries find solutions to their population problems; about a quarter of all population assistance from donor nations to developing countries is channeled through UNFPA. United Nations Population Information Network (POPIN) - Identifies, establishes, strengthens and coordinates population information activities at international, regional and national levels. William H. Frey (Demographer) - Demographer and sociologist specializing in U.S. demographics. Frey has created demographic media for use by educators, policy makers and the general public. WHO Department of Womens Health - Information on women's health and fact sheets on issues such as female genital mutilation, HIV/AIDS, violence against women, family planning and aging. World Urbanization Prospects - The Population Division of the Department of Economic and Social Affairs of the United Nations has been issuing, since 1988, every two years revised estimates and projections of the urban and rural populations of all countries in the world and of their major urban agglomerations. The World Urbanization Prospects are used widely throughout the United Nations and by many international organizations, research centers, academic researchers and the media. American Civil Liberties Union: Immigration Rights - The Immigrants' Rights Project (IRP) of the ACLU works to defend the civil and constitutional rights of immigrants through a comprehensive program of impact litigation and public education. Center for Immigration Studies - A non-partisan, non-profit think tank devoted exclusively to research and policy analysis of the economic, social, demographic, fiscal, and other impacts of immigration on the United States. Federation for American Immigration Reform - Public interest organization of concerned citizens who share a common belief that the mass immigration that has occurred over the last 30 years should not continue. Immigration Policy Center - Publishes short biweekly policy briefs on topics such as immigrants in the military, as well as longer more in depth policy reports bimonthly on various topics involving immigration. International Center for Migration, Ethnicity and Citizenship - Engages in scholarly research and public policy analysis bearing on international migration, refugees, and the incorporation of newcomers. Based at New York City's New School for Social Research. National Council of La Raza (NCLR) - Conducts immigration policy analysis and advocacy activities in its role as a civil rights organization. The primary focus of these activities is to encourage immigration policies that are fair and nondiscriminatory and to encourage family reunification, while assuring effective and orderly border controls. National Immigration Forum - Advocates and builds public support for public policies that welcome immigrants and refugees and that are fair and supportive to newcomers in the U.S.
National Network for Immigration and Refugee Rights - Helps promote fairness and safe, healthy environments for immigrants, refugees, and their families by supporting education, research, advocacy and bridge-building among all of America's Communities. 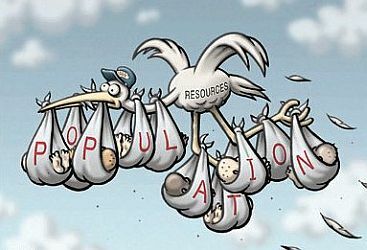 Negative Population Growth - A national membership organization founded to educate the American public and political leaders about the detrimental effects of over population on our environment and quality of life. NumbersUSA - Favors traditional numerical levels of immigration and opposes federal efforts to use higher levels forcing overpopulation, sprawl, congestion and school overcrowding and depressing U.S. wages. Project USA - A non-profit organization, created for the express purpose of moving the immigration issue into the center of the national debate as a way to educate Americans about immigration. Buys billboards all over U.S. advertising facts on immigration in order to stir public debate. The Social Contract - Journal examines trends, events and ideas that could unravel America's delicate social fabric in the following areas: human population; immigration; language, assimilation, culture and national unity; and the balance of individual rights and civic responsibilities. U.S. Committee for Refugees - Dedicated to defending the rights of all uprooted people regardless of their nationality, race, religion, ideology, or social group. U.S. Department of Health and Human Services, Office of Refugee Resettlement - Advises the Assistant Secretary for Children and Families and the Secretary of Health and Human Services on policies and programs regarding refugee resettlement, immigration, and repatriation matters. United Nations High Commissioner for Refugees - Provides protection and assistance to the world's refugees. CDC National Prevention Information Network - Provides links and up-to-date information on HIV/AIDS, STDs and TB. Center for International Health Information - The health data reference bureau for the Population, Health and Nutrition Center (PHNC) of USAID's Global Bureau. Center for Reproductive Rights - Legal and policy advocacy organization dedicated to promoting women's reproductive rights. Centre for Development and Population Activities (CEDPA) - A woman-focused nonprofit international organization founded in 1975. CEDPA's mission is to empower women at all levels of society to be full partners in development. Child Trends, Inc. - A nonprofit, nonpartisan research center that studies children and families. It has an extensive list of publications related teenage pregnancy, including Facts at a Glance, an annual report summarizing the most recent national, state, and urban data on teen births. Copenhagen Consensus Center - Takes a critical-analytical approach to assessing the effects of international opportunities for solving challenges such as diseases, environmental degradation, armed conflicts and financial instability. EngenderHealth - Works worldwide to improve the lives of individuals by making reproductive health services safe, available, and sustainable. Forum on Child and Family Statistics - This site offers access to federal and state statistics and reports on children and their families, including: population and family characteristics, economic security, health, behavior and social environment, and education. Futures Group International - A management, marketing and strategic planning organization that helps clients make critical decisions in the presence of future uncertainty. Futures is committed to enhancing sustainable development through the transfer of technologies to global experts and institutions and through the creation of appropriate project designs. Areas of program concentration include child survival, family planning, reproductive health, population policy, nutrition, and prevention of HIV/AIDS and sexually transmitted infections (STIs). IV InSite - Contains very up-to-date information on medical information, prevention and education, social issues and policy, and statistics and epidemiology, both domestic and international; also has an extensive list of links. HIV/AIDS Surveillance Database - Developed and is maintained by the Health Studies Branch, International Programs Center, U.S. Bureau of the Census. International Center for Research on Women - A private, nonprofit organization that generates quality, empirical information and technical assistance on women's productive and reproductive roles, their status in the family, their leadership in society, and their management of environmental resources. International Data Base - Contains statistical tables of demographic and socio-economic data for 227 countries and areas of the world. International Planned Parenthood Federation - Links national autonomous Family Planning Associations (FPAs) in over 150 countries worldwide; committed to promoting the right of women and men to decide freely the number and spacing of their children and the right to the highest possible level of sexual and reproductive health. International Planned Parenthood Federation/Western Hemisphere Region - A multi-cultural, multi-lingual organization that provides technical assistance and financial support to reproductive health organizations, helps facilitate information sharing among its affiliates and advocates sexual and reproductive rights on a regional and international level. Management Sciences for Health (MSH) - Working with decision makers to improve the management of and access to critical health services such as primary health care, child survival, maternal and child health, family planning, and reproductive health. National Center for Health Statistics (NCHS), Centers for Disease Control and Prevention - Federal Government's principal vital and health statistics agency. Makes available national estimates of factors affecting birth and pregnancy rates in the U.S.
National Center for Infectious Diseases - Their mission is to prevent illness, disability, and death caused by infectious diseases in the United States and around the world. National Family Planning and Reproductive Health Association (NFPRHA) - A nonprofit, membership organization established to improve and expand the delivery of voluntary, comprehensive, culturally-sensitive family planning and reproductive health care services for all. National Fatherhood Initiative - Mission is to increase the number of fathers who are involved in and committed to the lives of their children. Pan American Health Organization (PAHO) - An international public health agency with more than 90 years of experience in working to improve health and living standards of the countries of the Americas. It serves as the specialized organization for health of the Inter-American System and as the Regional Office for the Americas of the World Health Organization. PATH (Program for Appropriate Technology in Health) - Dedicated to improving women's health, improving children's health and preventing communicable diseases worldwide. Planned Parenthood Federation. The world's largest and oldest voluntary family planning organization; dedicated to the principles that every individual has a fundamental right to decide when or whether to have a child, and that every child should be wanted and loved. POPLINE - This site provides citations with abstracts of the worldwide literature on population, family planning, and related health issues. Population Services International - Non-profit organization that develops and implements programs worldwide to encourage healthful behavior and to increase the availability of health products at prices low-income people can afford. U.S. Census Bureau, International Programs - Conducts demographic and socioeconomic studies and strengthens statistical development around the world through technical assistance, training, and software products. Its work is commissioned and funded by federal agencies, international organizations, non-governmental organizations, private businesses, and other governments. UN Division for Social Policy and Development (DSPD) - Seeks to strengthen international cooperation for social development, particularly in the areas of poverty eradication, productive employment and decent work and the social inclusion of older persons, youth, family, persons with disabilities, indigenous peoples, persons in situations of conflict and other groups or persons marginalized from society and development. UNAIDS - Leads, strengthens and supports an expanded response aimed at preventing the transmission of HIV, providing care and support, reducing the vulnerability of individuals and communities to HIV/AIDS, and alleviating the impact of the epidemic. United Nations Population Fund. Helps developing countries find solutions to their population problems; about a quarter of all population assistance from donor nations to developing countries is channeled through UNFPA. WHO Department of Womens Health - This site includes information on timely topics in women's health and fact sheets on issues such as female genital mutilation, HIV/AIDS, violence against women, family planning and aging. World Health Organization (WHO) - Defined by its constitution as the directing and coordinating authority on international health work, its aim is the attainment by all peoples of the highest possible level of health. World Resources Institute - Provides information, ideas, and solutions to global environmental problems. Worldwatch Institute - Dedicated to fostering the evolution of an environmentally sustainable society. Center for the Environment and Population - A non-profit organization which aims to strengthen the scientific basis of US and international policies, media, and public outreach on human population's environmental impacts. Environmental Defense Fund - Links science, economics, and law to create innovative, equitable, and cost-effective solutions to urgent environmental problems. Focus: protecting, restoring biodiversity; stabilizing climate; reducing risks from toxic chemicals; protecting oceans. Friends of the Earth - A national, nonprofit advocacy organization dedicated to protecting the planet from environmental degradation; preserving biological, cultural, and ethnic diversity; and empowering citizens to have an influential voice in discussions affecting the quality of their environment and their lives. League of Conservation Voters - Works to create a Congress more responsive to environmental concerns; the only national environmental organization dedicated full-time to educating citizens about the environmental voting records of Members of Congress. National Audubon Society (NAS) - Mission is to conserve and restore natural ecosystems, focusing on birds and other wildlife for the benefit of humanity and the earth's biological diversity. Founded in 1905, the NAS is named after John James Audubon [1785 - 1851], famed naturalist, explorer and wildlife artist. National Wildlife Federation - Educates and assists individuals and organizations to conserve wildlife and other natural resources. Nature Conservancy - Seeking to preserve plants, animals and natural communities that represent the diversity of life on Earth by protecting the lands and waters they need to survive. Negative Population Growth - National membership organization founded to educate the American public and political leaders about the detrimental effects of over population on our environment and quality of life. Pew Environment Group - Diverse portfolio of projects related to marine conservation. Develops and supports scientific research, technical analyses and syntheses of scientific information that help to explain emerging issues. Resources for the Future - Conducts research rooted in economics and other social sciences on environmental and natural resource issues. Sierra Club - Dedicated to protecting the environment; especially concerned with ending suburban sprawl, restricting commercial logging, preserving America's wilderness, reversing global warming, ensuring clean water, and stabilizing population. Sustainable Community Network - Connects citizens with the resources they need to implement innovative processes and programs to restore the economic, environmental, and social health and vitality of their communities. Addresses a wide range of issues related to community sustainability, including creating communities, smart growth, growing a sustainable economy, protecting natural resources, living sustainably, and governing communities. Trust for Public Land - National nonprofit working exclusively to protect land for human enjoyment and well-being. TPL helps conserve land for recreation and spiritual nourishment and to improve the health and quality of life of American communities. U.S. and World Population Clocks - Provided by the U.S. Census Bureau. Academy for Educational Development - Addresses human development needs in the United States and throughout the world. Annie E. Casey Foundation - KIDS COUNT, a project of the Annie E. Casey Foundation, is a national and state-by-state effort to track the status of children in the United States. Assessing the New Federalism: An Urban Institute Project - This database includes information on the fifty states and the District of Columbia in areas including income security, health, child well-being, demographic, fiscal and political conditions, and social services. Bendheim-Thoman Center for Research on Child Wellbeing - Concerned with a broad range of children's issues, including education, healthcare, income sufficiency and family/community support. Long-term goal is to identify policies in each of these areas that are effective and politically feasible. To meet this goal, the Center supports basic research as well as evaluations of particular policies and programs. Center for Public Policy Priorities - A non-partisan, non-profit policy research organization committed to improving public policies and private practices that influence the economic and social prospects and conditions of individuals, families, and communities. Child Health Research Project - Through research, CHR identifies and evaluates new technologies for improving case management and prevention of disease; strengthens the problem-solving capacity of developing country institutions, and guides improvements in national health policies and professional practice. Child Trends, Inc. - A nonprofit, nonpartisan research organization that studies children, youth, and families through research, data collection, and data analysis. National Bureau of Economic Research, Inc. (NBER) - Research conducted by more than 500 university professors around the country. National Bureau of Economic Research, Inc. - Program on Children. Focuses on economic behavior related to children, child health, and child economic and social well being. National Center for Children in Poverty - Identifies and promotes strategies to reduce the incidence of child poverty in the United States. National Center for Education in Maternal and Child Health - Provides national leadership to the maternal and child health community. National Center for Education Statistics - Primary entity for collecting and analyzing data on education in the U.S. and internationally. Office of the Assistant Secretary for Planning & Evaluation, U.S. Department of Health and Human Services - Responsible for major activities in the areas of policy coordination, legislation development, strategic planning, policy research and evaluation, and economic analysis. Per Square Mile - Tim De Chant's blog on population density, cities, environment, ecology, landscapes, maps. Resources for the Future - A nonprofit and nonpartisan think tank located in Washington, DC that conducts independent research - rooted primarily in economics and other social sciences - on environmental and natural resource issues. Sprawl Watch Clearinghouse - Mission is to make accessible the tools, techniques, and strategies developed to manage growth; includes information on the latest legislation and sprawl politics at all levels. Trust for Public Land - National nonprofit working to protect land for human enjoyment and well-being. U.S. Census Bureau - Population data and the latest economic indicators. U.S. Federal Agencies - Statistics from over 100 U.S. agencies. This webpage last updated on Wednesday, January 6, 2016 6:13 PM.